One of the greatest challenges I encounter today is not the willingness of a brand to engage, but its ability to create. When blueprinting social architecture and the engineering that connects people to other people strategically, enthusiasm and support typically derail when examining the resources and the commitment required to rhythmically produce, distribute, and support content. Indeed, we are programming the social web around our brand hub and as such, we’re required to capture attention and also hold it through the introduction of engaging dialogue, interaction, and the introduction of relevant information packaged and published as social objects. Social Objects are the catalysts for conversations and occurrences — online and in real life — and they affect behavior within their respective societies. They are personified by our Tweets, our pictures in Flickr, videos on YouTube, events in Upcoming, profiles and updates in Facebook, the links we share in Delicious, our votes in Digg, the places we check into when playing Foursquare, the documents we publish in Docstoc, a destination or service we review in Yelp, a subject we host in Ning, a thought shared in the comment of a blog post or through a dedicated blog post, etc. But once we introduce a social object, we must stand ready to handhold existing subjects throughout the social web as well as create a publishing calendar rich with relevant content, programmed specifically for each network in which we maintain a presence. There’s a saying in theater, a big part of acting is reacting. This is especially true when we consider how many individuals, brands, and organizations engage in the Web today. Instead of seeking inspiration and direction from those around us however, we simply react to activity, which may or may not benefit us in the long run. In Social Media, many of the existing programs are either dictated by the community-driven conversations strewn across the web, with an emphasis on Twitter and Facebook, or creatively designed to elicit specific responses in addition to the crowdsourcing of brands and dissemination of corresponding messages. But social media represents a greater opportunity that invites us to participate proactively, introducing new thoughts, ideas, and solutions through the people that inspire us to try something new. Social Media is an earned privilege. While establishing a presence is elementary, captivating audiences is artful. In the near future, brands and organizations will create new or augment existing roles to serve as editor and publisher to all channels with a primary objective of ensuring that timely, relevant, and captivating content is produced, distributed, and connected to both captive and desired audiences. This work is in addition to the other reactive and proactive social media campaigns that are already in progress, but held to a strategic editorial calendar that blends video, audio, imagery, text, updates, and other social objects and networks to reach, inspire, a galvanize communities. As brands, we become media. Through the democratization of publishing and the equalization of influence, we can create, connect, and attract a wider reach, establishing meaningful connections and building dynamic communities and interactive paths along the way. Everything starts with creation of a mission and purpose and fortified by the content we create, the processes in which we distribute it, and the activity that supports social objects and the reactions they engender. Perhaps among the most powerful rewards we procure through dedicated publishing is the generation of good will, social capital, and influence. It comes at a price however, and the price is defined by the cost of resources, production, distribution, and support. In the end, you get out of it what you invest in it and the investment represents time, money, creativity, and passion. We not only become media, through production and engagement, we become influential. In media, there are several channels that populate and shape perception, intent and action – earned, paid, and owned media. Each require a dedicated management system that actively creates, monitors and stimulates strategic movement as we broadcast relevance directly to our main channels and syndicate aggregate signals to our network of branded satellites and streams. Recently, Sean Corcoran, an analyst at Forrester Research, published a detailed post that described the differences between earned, paid and owned, clarifying the roles for brands who undertake the responsibility of embracing a new media role. Dave Fleet, a thought leader in new media and public relations, also visualized Corcoran’s thoughts through a series of graphics that represent the social media ecosystem. Fleet’s work inspired a new graphic of my own (coming soon). Increasingly, interactive marketers are being asked to manage a wide range of paid and unpaid marketing communication — despite the fact that many marketing departments are still organized around traditional paid marketing channels. All types of online media (whether “earned,” “owned,” or “paid”) can play specific roles in meeting marketers’ objectives — especially when seamlessly working together. To find the right balance between these types of media, marketers should take stock of their resources, listen for the impact of earned media, look for opportunities to shift short-term paid media to the role of catalyst, and begin to build out a solar system of long-term owned media touchpoints. In other words, paid, earned and owned media require thoughtful programming and targeted distribution and must be linked to a systematic review of behavior and activity that surrounds each object. And, the analysis of activity and ultimately the end result should play a monumental role in the creation of future publishing and social activation. Corcoran uses the word “touchpoint,” which by standard definition, refers to any point of contact between a buyer and a seller. Touchpoint is part of the greater opportunity here. But more importantly, these touchpoints require direction and the establishment of a path that offers a complete experience – a beginning, a middle, an end and a reward. These experiences are definable by paid, earned, and owned media. New Media necessitates a collaboration between all teams involved with creating and distributing content, including advertising, interactive, communications, brand, and marketing – with an editorial role connecting the dots. We are competing for attention and our success is dependent on our ability to not compete against each other. Producing content and lobbing it over the firewall to an “audience” will only confuse communities. Therefore, we are obligated to build pipelines that carry strategic communications each with calculated intents, targets and outcomes. If we examine the differences between earned, owned, and paid, we can visualize necessary programming and dedicated channels for each. Owned Media is media that essentially, we control. Perhaps I should clarify what I mean by control. We design the object; we own the content within the object. Most likely, we also own (or lease) the distribution channels that present these objects to our target communities. We do not however, control the impression and perception of our objects. We lose that control at the point of distribution. For example, in addition to standard Web pages, social media presences contribute to our portfolio of owned media including, Twitter accounts, Facebook Fan Pages, Blogs, YouTube channels, etc. By creating presences in the communities where our customers, prospects, partners, and influencers congregate and collaborate, we can set the foundation to contribute to “earned” media based on the value we contribute through each profile and the social objects we introduce through them. How we embrace and fuel owned media determines our social capital and influence and its value and prominence is representative of our contributions and participation. 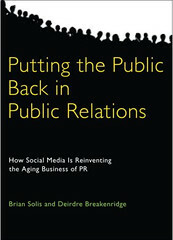 Social Hubs are also gaining prominence in 2010 – 2011 social media plans as brands weigh options for directing traffic. The creation of strategic landing pages can extend the rich, interactive experience within social networks (channels in which we partially own) to pages we do own, thus shaping the experience in a way that maintains interactivity and targeted options for action. I’m not necessarily recommending the creation of microsites, unless it’s warranted in the overall program, but a bridge that continues the desired experience, connecting people to value and benefits in a destination that serves their essentials. Forrester’s Corcoran recommends that brands create a “solar system” of owned media. However, I suggest that brands instead create a focused ecosystem of media that establishes presences where their communities are already active – a brand or organization specific social media ecosystem. This requires research and in the process, we uncover not only locations that require our engagement, but also how, where, when and to what extent to participate. We just may find that the given locations for social profiles represent only part of the many opportunities rife within the Conversation Prism. Paid Media represents the visibility we purchase, such as display ads, paid search, and sponsorships. When paired with owned and earned media programs, paid media serves as a hub for complementing, reinforcing, and polishing brand voice, directives, mission, and stature. While many argue over the future and fate of advertising, what’s clear is that online paid presences can benefit initiatives where action and experiences are defined and promoted through the click path. Current trends reflect a shift away from branding programs and place emphasis on sparking desired activity, empowering viewers and their social graph to share in the experience all in ways that measure the cost per action. Earned media is the result of our owned, paid, and participatory media programs and is reflected in the blog posts, tweets, status updates, comments, and ultimately actions of our consumers, peers, and influencers. Earned media is linked to owned media campaigns as well as proactive initiatives that attempt to incite viral and word of mouth activity. Garnered visibility is also tied to communications and public relations programs as they continually seek to gain the attention of reporters, bloggers, analysts, influencers and catalysts who can drive awareness and behavior based on the words, stories, and social objects they create and distribute. This isn’t a one way street, however. Earned media is just that, it’s earned. Success is absolutely conditional on the techniques and methodologies that inspire dedicated programs focused on outreach, relations, and hopefully the engendering of productive and mutually beneficial relationships. Crowd-powered visibility also merits an official and devoted listening and response initiative to ensure that each respective community aligns with the story and our mission and purpose. Participatory Media – Representing an extension of earned and owned media, participatory media takes the shape of a hosted hub where brand representatives and our communities can interact and collaborate. For example, go to examples usually refer to Dell’s IdeaStorm and Starbuck’s “My Idea” network which resemble branded wikis designed to elicit responses, dictate direction, establish community-focused governances, etc. Participatory media equalizes the balance of power, providing a dedicated platform the gives voice to the consumer and a channel for their ideas to trigger transformation or change. Sponsored Media – This new category fuses owned, paid, and earned media. Sponsored media is one that is championed by companies such as Izea (disclosure, my company works with Ted Murphy and Co.), Ad.ly, Twittad, among others and is creating a new medium for packaging messages through trusted voices within highly visible and social channels. Sponsored media can take the form of paid tweets, blog posts, appearances, and featured objects on targeted profiles. And, whether you agree or disagree with the idea, the reality is that they work and they seem to benefit all parties involved, from brand to paid affiliates to their communities. In fact, Forrester’s Josh Bernoff and Sean Corcoran shared their thoughts for why sponsored media is worthy of consideration. Sponsored Media fuses earned, paid, and owned as technically…1) the messages are owned, 2) the voices are paid, and 3) with more thoughtful approaches, the responses within targeted communities can inspire a positive wave of earned media. As media, brands earn prominence and hopefully influence, social capital, and authority as rewards for contributing meaningful, genuine, and helpful content. On Twitter, brands can earn legions of loyal and responsive followers who in turn, become brand advocates and ambassadors, extending the messages, mission and purpose to their followers as well. In Facebook, brands can cultivate vibrant and dedicated communities where interaction inspires increased responses with each reverberating across respective social graphs. On uStream and/or YouTube, we can earn global audiences of viewers who tune in to watch our programming and to also interact with brand representatives in a live community that spills over to Facebook, Twitter and other social networks. And of course, our blog is more important than we may realize. Through our posts, we can establish a strong alliance of readers who subscribe to learn something of value, to participate in the direction of future ideas, to share their views and experiences, and also to inspire groundswells that motivate industry authorities and compel them to respond through the creation of earned media within their channels of influence. As Tom Foremski points out, we have the ability to earn noteworthy, equal, and in some cases, greater influence than those authorities whom we relied on over the years to help us reach greater audiences and communities. As influence is equalized, our ability to earn presence and relationships is derived from how we program, manage, and participate in all forms of media. And, it is through a balance of media and engagement where we also establish the foundation for affinity. People align with movements they can believe in and it is through the human, intellectual, and financial investment in sincere and empathetic content that define experiences and hopefully one day earn the attention and bonds that symbolize our significance – online and offline.